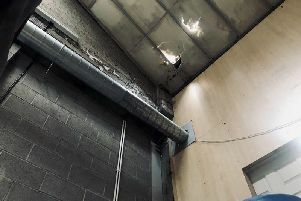 Police are appealing for witnesses and information following the report of criminal damage caused to a residential premises in the Barrack Street area of Coalisland. Constable Brownlow said : "It was reported that between the hours of 6pm on Thursday, October 24 and 6pm on Friday, October 25, graffiti was sprayed on the gable wall of a residential premises in the Barrack Street area of Coalisland. "We are appealing for anyone who might have information or to anyone that may have witnessed any suspicious activity in the area to contact Dungannon Police Station on the non-emergency number 101, quoting reference number 774 of 28/11/16.